Housing affordability is on the decline in California as rising prices make the state’s real estate costlier. An estimated 48% of home buyers could afford to purchase a single-family, median-priced home at the end of the fourth quarter of 2012, according to the California Assn. of Realtors. That was a decline from 49% in the prior quarter and 55% during the same period a year prior. Buyers needed to earn a minimum of $66,940 to qualify for purchasing a median-priced, $353,190 home. The monthly payment on that property comes out to $1,670 assuming a 20% down payment, according to the association. Housing affordability improved in Alameda, Contra Costa, Marin, Napa, Los Angeles, Ventura, San Luis Obispo, Santa Cruz, Fresno and Kings counties. 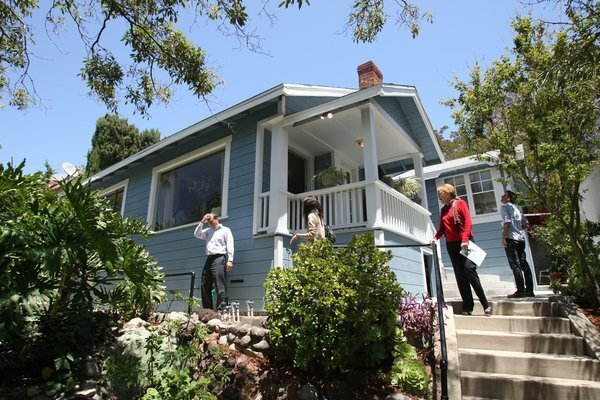 It has gotten less affordable in San Francisco, Solano, Riverside, San Bernardino, Monterey, Santa Barbara, Madera, Sacramento and Tulare counties.